Unbreakable: Unblemished #3 by Sara Ella was published May 2018 by Thomas Nelson and is a young adult romance fantasy novel. Eliyana Ember is stranded in a foreign country in the Third Reflection with no passport, the inability to mirror walk, and zero clues where the nearest Thresholds back into the Fourth or Second might lie. Her mind is a haze, her memories vague. She knows a wormhole from the Fourth sent her here. She remembers her mom and baby brother Evan. Makai and Stormy and Joshua . 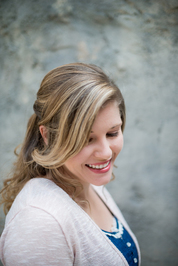 . .
About the author: Once upon a time, SARA ELLA dreamed she would marry a prince (just call her Mrs. Charming) and live in a castle (aka The Plaza Hotel). Though her fairy tale didn’t quite turn out as planned, she did work for Disney—that was an enchanted moment of its own. Now she spends her days throwing living room dance parties for her two princesses and conquering realms of her own imaginings. She believes “Happily Ever After is Never Far Away” for those who put their faith in the King of kings. 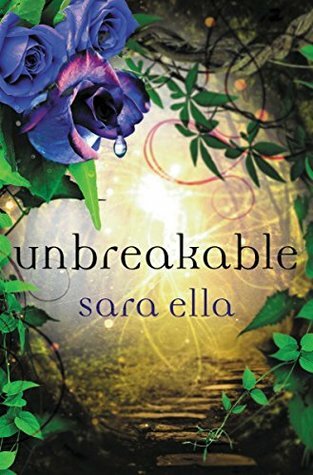 My thoughts: Unbreakable is the third book in the Unblemished series by Sara Ella and with that, the faerie tale has come to an end. The Unblemished series is certainly an interesting tale that has many ups and downs along with a romance that is beautiful and unique. A story with beauty, heartache, and struggle. Ella has created a unique world with intriguing characters that are sure to draw you in and capture your attention from the very beginning.